Exhibiting international, national, and local artists in the same space, The Canzani Gallery (later evolved to Beeler Gallery) provides variety and perspective to the Columbus community to create an opportunity for conversation. Although the gallery did an excellent job at bring notable artists to our community, its seemingly hidden location on the CCAD campus and lack of brand differentiation from that of the College cultivated the impression of just being a "student" gallery. 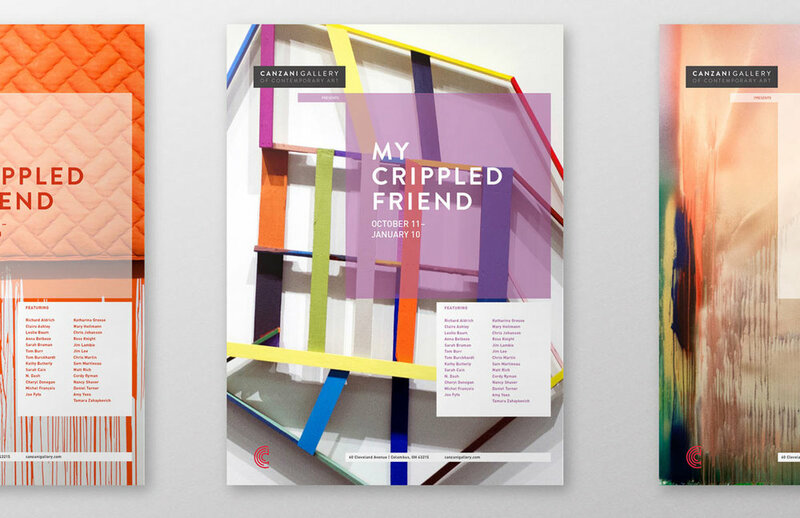 With such an active art community in Columbus, It was important to create a brand image that aligned with other galleries while still expressing its CCAD roots. To do this we evolved the gallery's identity by including the identifier "of Contemporary Art," utilizing a monochromatic color scheme, and creating a master layout for exhibition posters and catalogs that would allow the proper balance of consistency and expression.